Desert Limes are a small fruit about the size of a grape with a wonderful "limey" flavour Australian Desert Lime or Wild limes have an intense lime flavour without the tart edge that traditional limes have, I can eat them quiet easily alone. Like all limes they are extremely versatile. 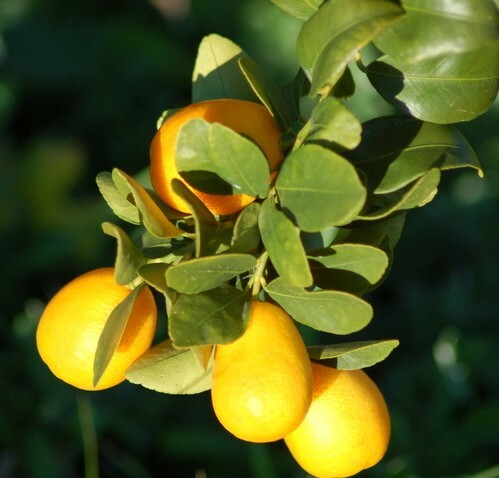 There are a number of native limes that have been developed, the Desert Lime being one of them. Wild Limes were used as a food source by Indigenous people, the easy pioneers to Australia harvested them for use in jams and preserves and they are now an extremely popular lime on many restaurant menus. 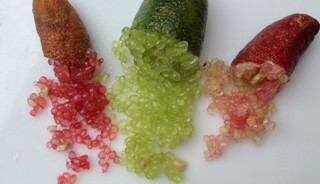 Finger Limes come in a variety of colours from bright green to corals, reds and champagne colours. 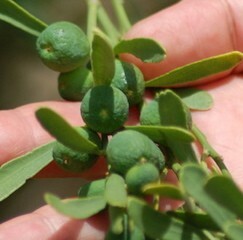 Finger Limes are Australia's native citrus. The bright greens are quite tart in flavour, the pinks and reds are a lot less tart. 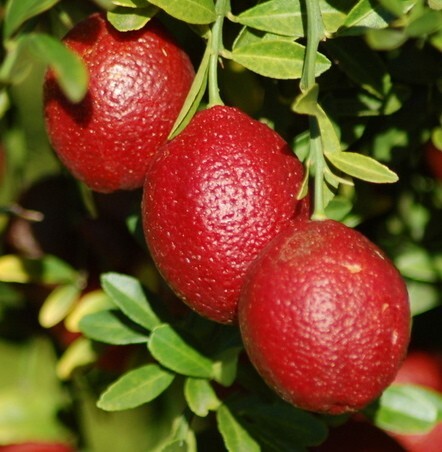 These blood red limes have a soft-sweet limey flavour. Available frozen.